Point England Sport: Thank you for voting! We got the grant! Yes, a netball grant from the ANZ bank. So yippeee! It was because you viewed our movie and voted for our teams which helped make this all possible. The judges said that there were a number of quality entries but felt that we were deserving of a grant. So thank you for supporting our girls. They will be sponsoring 10 sets of uniforms (skirt and top) for one team, bibs, a gear bag, 3 training balls and a match ball. This can cost up to $1000 so we're very happy and very grateful for this. 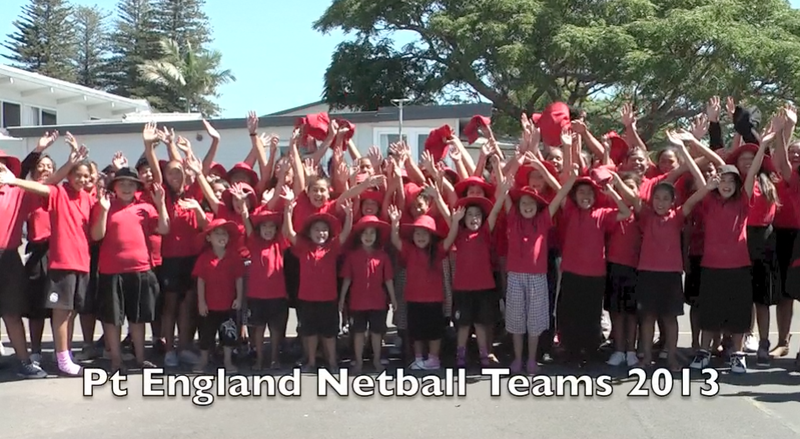 Our season begins in a couple of weeks time with the Years 6 - 8 teams competing on Tuesday evenings and our Years 1, 4 & 5 teams will be competing on Thursday evenings at the AMI Auckland Netball Centre. We can't wait for the season to begin!